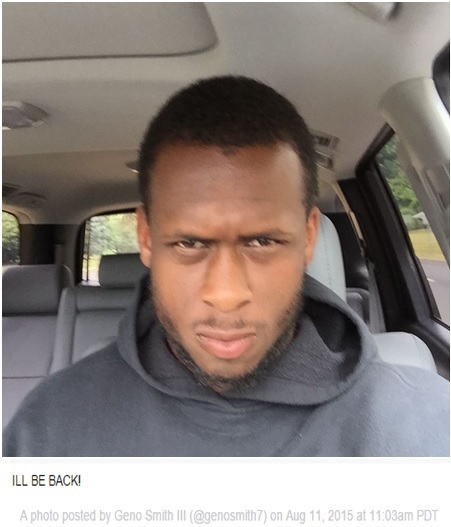 Following a non-football related disagreement with linebacker IK Enemkpali that ultimately resulted in a broken jaw, New York Jets quarterback Geno Smith is now facing surgery and up to 10 weeks of recovery time before he'll see the field again, per ESPN's Rich Cimini. The "sucker punch," according to head coach Todd Bowles, was over "something sixth-graders could've talked about," though he wouldn't divulge any details. As far as the aftermath, the team immediately released Enemkpali, and veteran signal-caller Ryan Fitzpatrick is expected to take on the starting role.